This year’s A level results showed a slight decline in numbers of people doing modern foreign languages like French, Spanish and German. Unions like the NASUWT, NUT and NAHT expressed concern at this and this was reported in outlets including the BBC’s website, the Independent, the Guardian, and MailOnline. As a Government we are clear about the value of modern foreign languages: Britain is an international trading nation and the ability to speak multiple languages is rightly prized by a wide range of employers. There has been a historic decline in the number of children taking modern foreign languages at GCSE but this has stopped in recent years. The introduction of the EBacc, which requires GCSE pupils to take a language, means more pupils than ever before will be equipped to go on to study languages at A level. This is an opportunity to celebrate the achievements of pupils and teachers across the country, with record numbers of young people going to university, including more from disadvantaged backgrounds than ever before, a narrowing attainment gap between girls and boys and huge numbers of students taking the A level subjects that will give them the greatest choice of university courses. 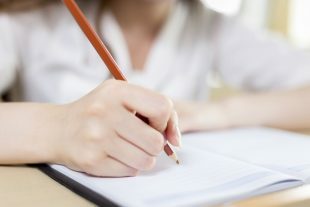 There has been a slight decline in modern foreign languages but the introduction of the EBacc, which helps ensure all pupils have access to an excellent, well-rounded education, has arrested the historic fall of foreign languages at GCSE and we expect this will grow the pool of young people who are equipped to go on to study languages at A level.